Welcome to boiler services Ratoath, part of your local team at Boiler Services Meath. Our firm has been specializing in boiler repair, boiler servicing and boiler installation throughout Ratoath and the county for over 30 years now. We have an exceptional knowledge of all makes and models of boilers whether it be domestic, commercial, industrial, oil or gas. All of our team at boiler services Ratoath are fully qualified and R.G.I. registered plumbers by trade it’s just they decided to specialize in boilers. If you are asking yourself that question, here are a few reasons. We are a respected company with 30 years experience. Boiler Services Ratoath are fully insured and provide a 1 year parts and labor warranty on all completed work. All of our staff are accredited by the R.G.I. and have health and safety FETAC certification. We are reliable, polite and courteous at all times. Our staff will always go the extra yard to make sure our clients are satisfied. We operate 24 hour rapid response emergency boiler services throughout Ratoath, 365 days a year. This means if your boiler packs in at the most inconvenient time you can count on our team to come to the rescue. Just call us any time of the day or night on 046-9011255 and we will answer the phone and try and help you. If you need a boiler services engineer, one of the team will be out to you within the hour, traffic permitting. That’s right! Our charges for your annual boiler service start at €55. It all depends on the make and model as some are more difficult and time consuming, So have your make and model handy when asking for your free quote. We are always happy to do your boiler service in Ratoath at a time that is convenient for you,. This maybe the weekend and early morning or evening at no extra cost. 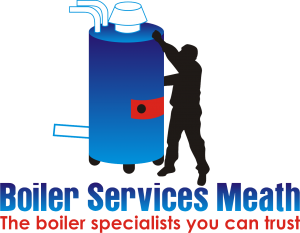 For boiler servicing repair or installation just call the professionals at boiler services Ratoath today on 046-9011255.